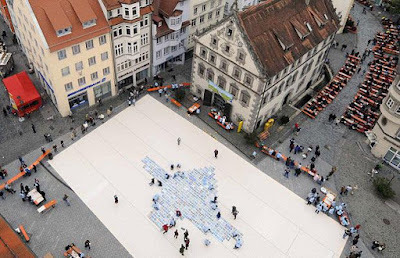 "People in Ravensburg, Germany, attempt to lay the biggest jigsaw puzzle in the world. The puzzle will have more than one million pieces." Obviously the home of Ravensburger, creators of a commercially marketed 18,000 piece puzzle. You'll need to click/enlarge the image to read it. 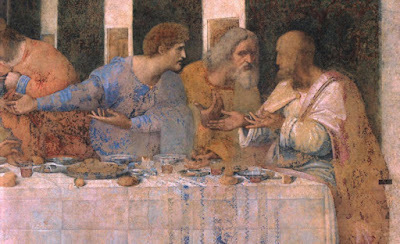 In the Winter 2008 issue of Gastronomica is an article, "At Supper with Leonardo," which discusses the tableware and the food which may have been depicted on the table in DaVinci's portrayal of the Last Supper. What is depicted by Leonardo doesn't, of course, represent what was actually eaten, since the Bible doesn't provide such details. But it may offer some insight into DaVinci himself. The author suggests that one plate on the table holds "sections of grilled eel garnished with orange slices." Eels (anguilla) were apparently popular in Renaissance Italy, for the very practical reason that they could be transported live out of water for days. More details and discussion at the original article (scroll down at the magazine table of contents for a link to a pdf file). Tomasz Bagiński... is a BAFTA Award-winning Polish artist and animator, best known for his Oscar-nominated short movie, The Cathedral (2002). For his newest short, Fallen Art (2004), he received a BAFTA Award for Best Short Animation and Grand Prix for Digital Shorts at Golden Horse Film Festival 2005... Bagiński also created cinematics for The Witcher computer game based on the books of Andrzej Sapkowski. 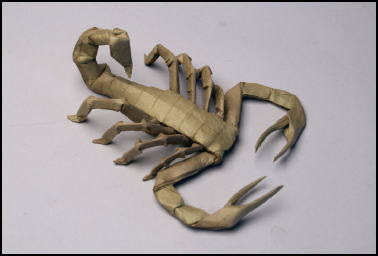 The 7" scorpion was created out of one uncut square of Korean hanji paper. This is an example of "hex pleating," a design technique analogous to box pleating, but that uses hexagonal symmetry. 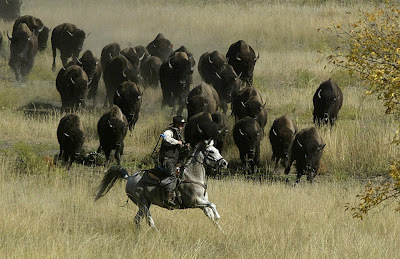 "Conservation officer Ron Tietsort herded bison Monday at an annual event at South Dakota’s Custer State Park. The park’s 1,500 bison were rounded up, placed into corrals, vaccinated and branded for auction." Remember, telephone calls to congressional offices were running about 100 to 1 against this bill. UPDATE: Ben Smith notes that John McCain's entire home-state delegation voted against the bill. Half of Obama's did, too. The title says it all. A 3-minute video. 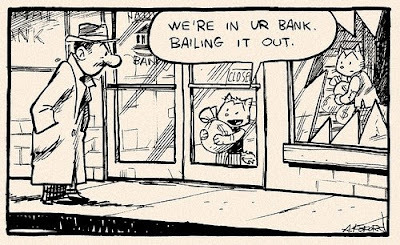 "The first thing I would do is say, 'Let's not call it a bailout. 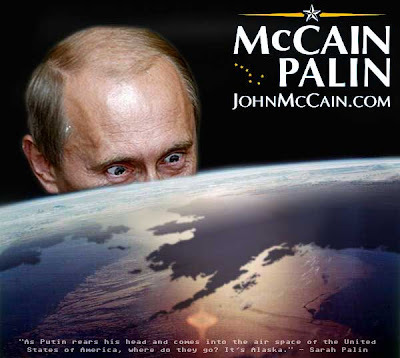 Let's call it a rescue," McCain said in a CNN interview. Labeled as the "first Presidential film with sound," the 4-minute movie clip from the pre-Teleprompter era shows Calvin Coolidge addressing the problem of escalating costs of the government. "The expenses of the government reach everybody." "The yearly costs of all [Federal and state] governments in this country is the stupendous sum of 7 billion, 500 million dollars...such a sum is difficult to comprehend." [typical wages in this era are cited as $5/day] "One of the greatest favors that can be bestowed on the American people is economy in government." MAPLight.org has found that, over the past five years, banks and securities firms gave an average of $231,877 in campaign contributions to each Representative voting in favor of the bailout, compared with an average of $150,982 to each Representative voting against the bailout--54 percent more money given to those who voted Yes. Democrats voting Yes received an average of $212,700 each, about twice as much as those voting No, $107,993. Republicans voting Yes received an average of $273,181 each, 50% more than those voting No, $181,688. MAPLight.org's analysis used data from the Center for Reponsive Politics (OpenSecrets.org) and included campaign funds given from January 2003 through August 2008 by these industries: banks (including commercial banks, savings & loans, and investment banks), credit unions, finance companies, stock exchanges, venture capital and private equity firms, hedge funds, and securities and commodities brokers and firms. Data includes both PAC and individual contributions. We used Congressional voting records from the U.S. House website, via GovTrack.us. The financial services sector has contributed more to candidates for Congress, Presidential candidates, and political parties than any other sector, totaling $339,649,585 from 2007-present. The sector has also contributed heavily to both John McCain and Barack Obama’s Presidential campaigns in 2007-2008: $22,108,926 to Sen. McCain and $24,860,257 to Sen. Obama. The financial services sector has been a top campaign contributor for years, donating more than $2 billion to Federal candidates from 1989 through today. Bailout doesn't pass, DOW falls ~800 (7%), and the pundits talk like this is the end of the world because it's the market's "biggest point loss." Some of the may not be old enough to remember 1987, when the markets fell 20% in one day. I remember watching that day as a year's worth of profits was erased in one trading session, and how I slept like a baby* that night. Days like today are cathartic. The financial system is getting toxic instruments out of its system, if not in fact, then in principle, by agreeing that things are not worth what they were perceived as being worth in the recent past. Congress is virtually helpless, in what amounts to a bipartisan effort, and perhaps that's not bad, because it's not the responsibility of legislative bodies to stabilize the stock market or the bond market. If today's bill didn't pass it is unlikely that any variations will pass in the near future. Foreign markets will reel tonight and the world will enter an overall economic slowdown. As this happens a whole generation of investors and consumers will come face-to-face with the harsh realities of thrift, budgets, savings, spending limits (and about greed and fear). It's sad that people will get hurt in the process, but stretching it out over a longer period of time would not have changed the ultimate result. It's better to get this over with. *woke up every hour and cried. 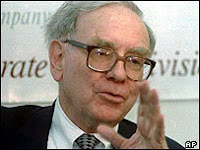 Here are excerpts from Warren Buffett's comments as reported by the BBC in 2003. Derivates like futures, options and swaps were developed to allow investors hedge risks in financial markets - in effect buy insurance against market movements -, but have quickly become a means of investment in their own right.. 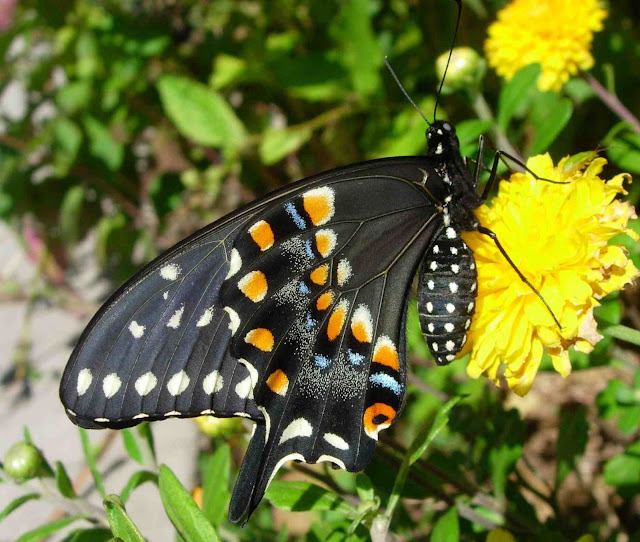 Almost forgot to show pictures of our last Black Swallowtail release. 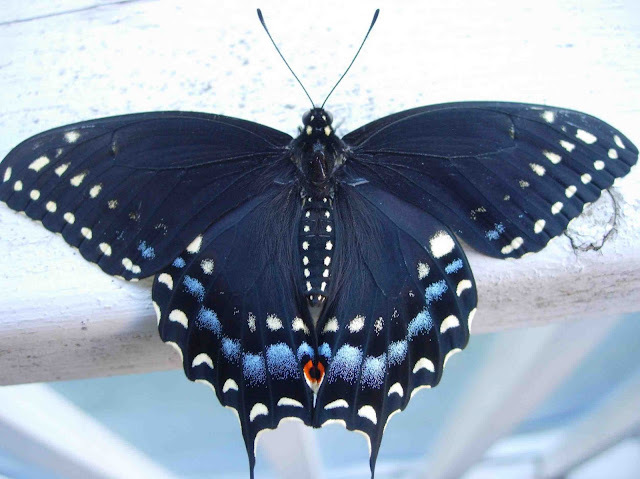 A handsome female (characterized by the prominent blue on the dorsum of the hindwing). We have one chrysalis remaining, which apparently is going to go dormant, overwinter with us, and eclose in the spring. 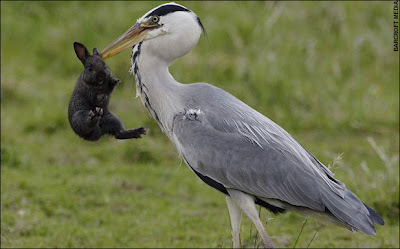 ...was the Three Hundred and Thirty-five Years War, between the Netherlands and the Isles of Scilly. It lasted from 1651 to 1986. The video is a series of still images overlaid with a sound track. The story is here. Found at Hugo Strikes Back. Said to be the fastest way to get drugs to the heart for resuscitation etc. Here's a video of medics practicing the technique, not on a Resusci Annie, but on... each other. It's worth the one-minute viewing time, if just for the "wow!" factor. A slightly naughty but wondrously appropriate acronym for the current shell game in which company X buys the toxic assets of company Y. Or the taxpayers buy the assets with the suggestion that they might be able to sell them later "when things calm down and conditions improve." Kudos to Cadfael for inventing the acronym. Addendum: a brief apology to TYWKIWDBI visitors who come here each day looking for the typical upbeat stories about exotica and ephemera. This week the two-headed turtles and vintage photos of the Beatles and revelations about ancient history have to yield to the more pressing matters of an impending financial Armageddon. We will return to cheerful material shortly. More pictures from the sequence, and explanatory text, HERE. The bank's share of the bail-out will enable RBS to offload billions of dollars of questionable assets. The bank's shares closed last Friday at 205p, a 71% fall from their pre-credit-crunch peak. However, analysts and investors predict that the shares will rebound sharply when markets open on Monday morning if the bail-out is approved over the weekend. I believe the chant is "You owned it. You broke it. You bought it." This demonstration involved only a few hundred people, but I've blogged it because it's emblematic of a wider dissatisfaction across the country. Various congresspeople and media reporters are indicating that the public has expressed opposition ranging from 75% - 90%. One congressman said "half the public is against it, the other half hate it." I think John McCain missed an opportunity to actually be a maverick rather than just talking about being one. He should have come out and said he's against the bailout and all it stands for. Instead he just offers a whimper about how it needs to be done carefully. 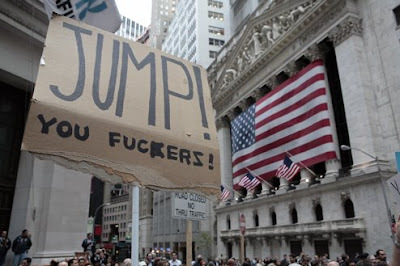 Obama is even worse, essentially saying "if we're going to bail out Wall Street, we also need to bail out Main Street." Pitiful. The superb illustrations above are just a few taken from Turnierbuch. 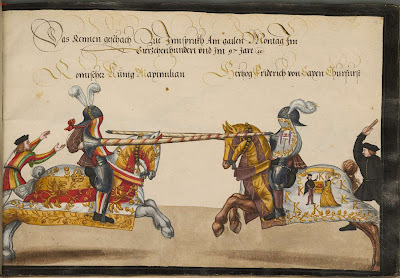 Ritterspiele gehalten von Kaiser Friedrich III. und Kaiser Maximilian I. in den Jahren 1489 - 1511 - BSB Cod.icon. 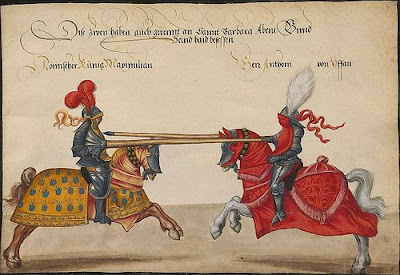 398 (tournament-book, knight-games held by Kaisers in years indicated). The book is digitally reproduced and available online from the Bavarian Staatsbibliothek. 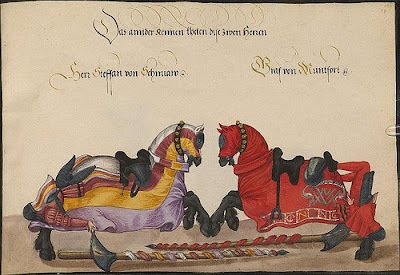 It apparently was published in 1550 as a sort of reference work illustrating the outcome of jousting tournaments at Innsbruck, Nurnberg, and Heidelberg in 1491, 1497, 1498, and 1511. 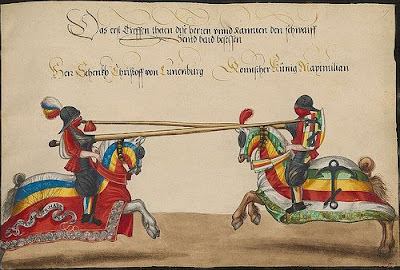 Some, such as the second one above, show both riders being simultaneously unseated. Full credit for locating and posting this goes to the remarkable site BibliOdyssey. 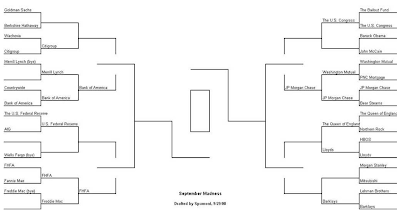 Thoughts on money market funds "breaking the buck"
Much attention has been paid this past week to the concept of money market funds "breaking the buck" (having the Net Asset Value fall below the conventional baseline$1.00). The New York-based Reserve Primary fund, which had $65 billion in assets at the end of August, said it cut its share price to 97 cents after marking down the value of $785 million in Lehman debt securities after the brokerage's filing for Bankruptcy Court protection Monday. This isn't the first time that a money fund has run into trouble with dicey securities since the credit crunch began a year ago. Indeed, Crane said 20 money fund companies have had to contend with IOUs that could have caused their money funds to break the buck. The difference with Reserve Primary fund is that it lacked a "deep-pocketed" parent company willing to step in and buy out the Lehman IOUs to keep shareholders whole, Crane said. That is historically how other fund firms have resolved troubles with their portfolio holdings. Indeed, our family received an email from one of our MMfunds which informed us that the fund had incurred losses on some assets, but that the parent company (T. Rowe Price) would make up the losses out of reserves, and the NAV would remain at $1.00. It's fully appropriate that this event should have been publicized, but shame on federal officials for trying to "scare up" support for the big bailout by suggesting (or declaring) that without a bailout, everyone's MMFunds would be in jeopardy of severe major losses. There are, of course, many "flavors" of money market funds. The safest ones invest in Treasuries or other securities backed by the full faith and taxing power of the federal government. 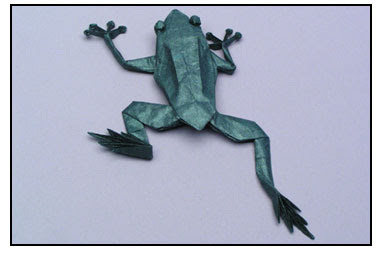 Others stretch for increased yield by incorporating corporate paper or other money instruments. The Reserve Primary Fund's objective was to "generate the highest possible yield without incurring significant risk." Obviously some of the "highly rated prime bank debts" they chose to purchase were ill-advised (though the fault may lay as much with the rating agencies and with the fund). "We put it in a money market, how can you make it safer than that ?" said 48-year-old Rocheford of Elko. But note that this "failed" money market fund has fallen to 0.97 or a 3% loss on current assets. That's not a tragic outcome in view of the fact that for some prolonged period of time investors in the fund may have received an average, say, 6.5% yield while safer MM funds were yielding 5.5% or whatever. I think it's actually good that some MM funds may fall below $1.00. The American investing public needs to have it driven home that increased rewards are achieved by taking on increased risk, and with that risk comes the chance of loss. If the bailout package is somehow contrived in a way that no one loses money, the moral hazard accompanying such a maneuver will mean that after things settle down again, people will just return to the same pattern of searching for high yield while assuming they can't lose money, thus perpetuating the market demand for contrived instruments such as the toxic CMOs. 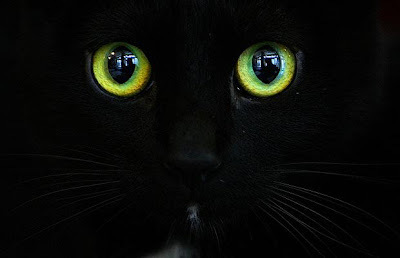 Another amazing photo from Shorpy. Click the image to enlarge it and explore the details (or read about them at the link). The childrens eyes look unusual because the long exposure plus the bright flash resulted in superimposed eyeballs and eyelids. 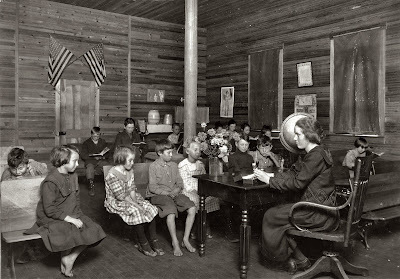 My mother, aunts, and uncles all attended a one-room schoolhouse which was located on the corner of the farm property. In the winter one of my uncles (as a child) had the responsibility of going down to the school about 0600 before it opened to start a fire and warm it up before the students and teacher arrived. The teacher lived in a spare room upstairs at our family farm during the school season. Listed as #1 in the list of Top Ten Most Dangerous Magic Tricks. 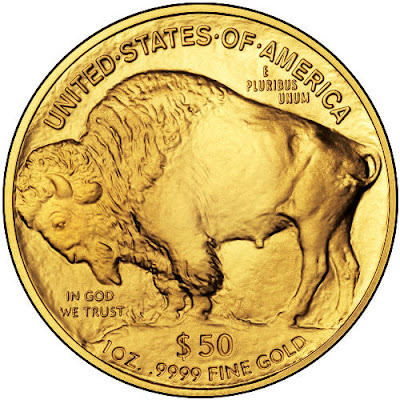 WASHINGTON — The U.S. Mint is temporarily halting sales of its popular American Buffalo 24-karat gold coins because it can't keep up with soaring demand as investors seek the safety of gold amid economic turbulence. "Why am I different from others?" (reply) "Why do you have to be like others?" 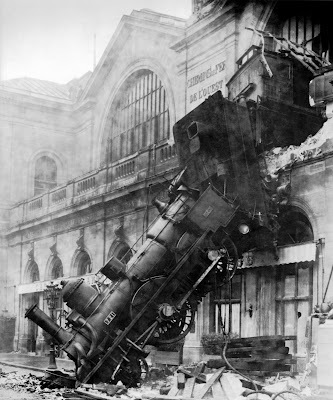 The Gare Montparnasse became famous for a derailment on 22 October 1895 of the Granville-Paris Express that overran the buffer stop. The engine careened across almost 30 metres (98 ft) of the station concourse, crashed through a 60-centimetre (24 in) thick wall, shot across a terrace and sailed out of the station, plummeting onto the Place de Rennes 10 metres (33 ft) below, where it stood on its nose. All on board the train survived, five sustaining injuries: two passengers, the fireman and two crewmembers; however, one woman on the street below was killed by falling masonry. 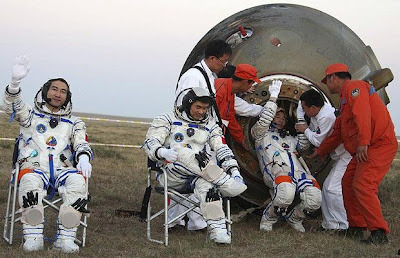 The accident was caused by a faulty Westinghouse brake and the engine drivers who were trying to make up for lost time. The train chief incurred a 25 franc penalty and the engine driver a 50 franc penalty; he was also sent to prison for two months. Click image to enlarge. 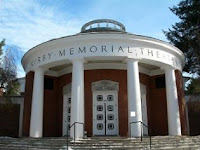 Blogged in remembrance of one of my grandfathers, who was an engineer for the Pennsylvania R.R. This is the clip of last night's peformance. What interests me most is that while most of the humor comes from having the pseudo-Palin say silly things, the audience also laughs when the pseudo-Palin quotes virtually the same words that the real Palin used during the real interview with Katie Couric (at about the 3:00 remaining point on the timer). ...and concluding that the Palin interview was a "disaster." At the top is the graph of new home sales (and home inventory) in the U.S., which, along with the Iraq war expenditures, is one of the factors which drove this country into the current crisis. 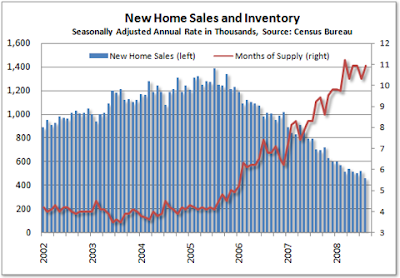 On the bottom is a four-minute video from Fox news in December 2006 (note date in relation to chart above) during which Peter Schiff predicts a problem from falling home sales. The five panelists from Fox not only disagree, they ridicule him and laugh in his face. Peter Schiff was one of Ron Paul's economic advisers. Thanks, J-Walk, for posting this. 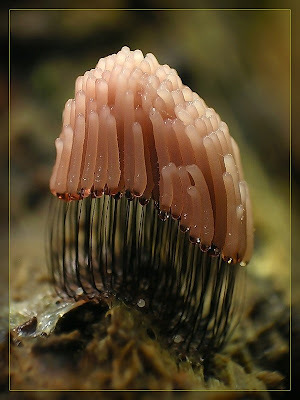 Perhaps secondary only to nudibranchs in their variety of form and color. 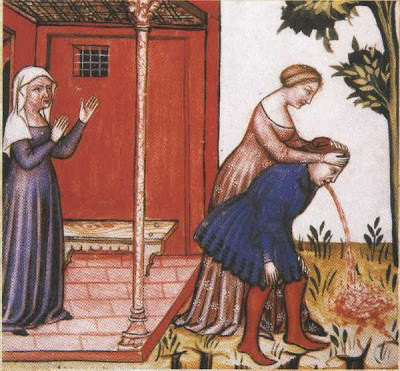 This image is from an outstanding collection posted at English Russia. It isn't clear how ancient blacksmiths produced these nanotubes, but the researchers believe that the key to this process lay with small traces of metals in the wootz including vanadium, chromium, manganese, cobalt and nickel. Alternating hot and cold phases during manufacture caused these impurities to segregate out into planes. From there, they would have acted as catalysts for the formation of the carbon nanotubes, which in turn would have promoted the formation of the cementite nanowires. 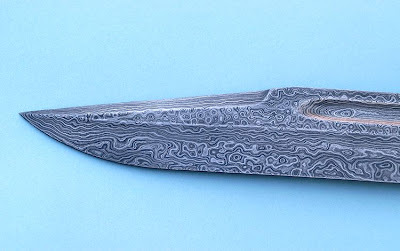 These structures formed along the planes set out by the impurities, explaining the characteristic wavy bands, or damask (see image at top), that patterns Damascus blades. I suppose one could call this "fearmongering" by the Democrats. When the Onion did it, it was funny, but this one is more gut-wrenching. Screen cap at the top, actual video on the bottom. "He married an actress and model called Jackie Witte and when she was pregnant with their first baby his father died at 56. Newman Sr always regretted that he never lived to see his apparently feckless son achieve success." 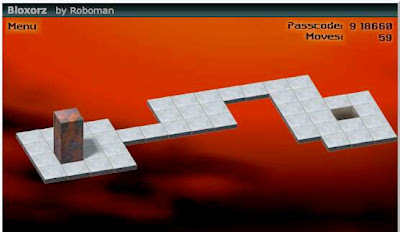 This flash game has 33 levels, some of them seemingly impossible (if you don't believe they can be solved, take a look at the video solutions stored at YouTube). (The image above is a screen cap; go to this link to play the game). The concept is simple; use your arrow keys to roll a solid figure into a hole (see the instructions re a couple switches on the surface). I got thru level 31 before giving up. As Congress argues over limits on executive pay, the New York Times reports that the chief executive of Washington Mutual, who was on the job just 17 days, is eligible for $19.1 million in compensation. For short-time CEO Alan H. Fishman -- named to run the failing bank less than three weeks ago -- that would work out to $1.12 million per day (assuming he worked weekends). If he worked eight-hour days, it works out to $140,000 per hour. Here's the kicker: Fishman didn't even broker the deal to find a buyer when WaMu failed and was seized by the government; the federal government reportedly arranged the purchase by JPMorgan Chase & Co., and closed the deal while Fishman was in midair, flying from New York to Seattle. Congress is insisting that senior managers will no longer be paid high salaries. Well, most senior managers were not paid high salaries. They were given stock options. So, they ran up the value of the stock options by using corporate money to buy shares of stock in the open market. Instead of developing new, creative ways of serving the consumer, they did what any self-respecting, self-interested official would do. They saw their opportunities and they took them. They have now gone away, with tens of millions of dollars or hundreds of millions of dollars in their various financial accounts. This is why it is so important the government intervene to bail out the financial system. If the government did not do this, the former heads of these corporations, who took their money and left, might lose a lot of money. They don't want to lose money. So, Congress will intervene to make certain that they don't lose any money. Congress will do this in the name of the People. This is called locking the barn door after the horses have escaped. The horses left behind a massive pile of droppings. Congress is going to use taxpayers' money to clean out the Augean stables. Meanwhile, the guys who got rich are gone, and the guys who replaced them will find it more difficult to get rich. But they will find ways to do this eventually. Their lawyers will find ways. Then, once again, Congress will be facing the need to bail out the financial markets. Moral hazard can also occur with borrowers. Borrowers may not act prudently (in the view of the lender) when they invest or spend funds recklessly. For example, credit card companies often limit the amount borrowers can spend using their cards, because without such limits those borrowers may spend borrowed funds recklessly, leading to default. Some believe that mortgage standards became lax because of a moral hazard—in which each link in the mortgage chain collected profits while believing it was passing on risk—and that this substantially contributed to the 2007-2008 subprime mortgage financial crisis. Brokers, who were not lending their own money, pushed risk onto the lenders. Lenders, who sold mortgages soon after underwriting them, pushed risk onto investors. Investment banks bought mortgages and chopped up mortgage-backed securities into slices, some riskier than others. Investors bought securities and hedged against the risk of default and prepayment, pushing those risks further along. May 30, 1864. "Port Royal, Virginia. 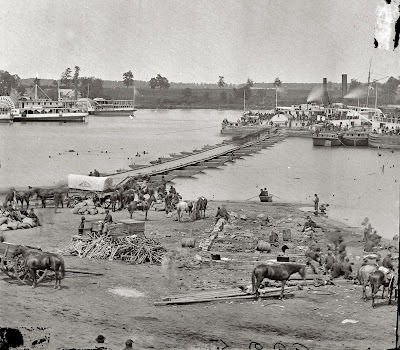 The Rappahannock River front during the evacuation." Photograph from the main Eastern theater of war, Grant's Wilderness Campaign." That works out to the provision of something like $370b of credit to the financial system in a two week period. That may be a bit too high: the outstanding stock of repos felll by $40b (from $126b to $ 86b), leaving a $330b net change in these line items. But that is still enormous. I’ve been speculating all week that the pressure being used on the Congress to pass the Paulson Plan is the threat of Fed illiquidity. As of two weeks ago, the Fed had lent out more than $600 billion of its $800 billion balance sheet Treasuries against crap MBS collateral. “The theory here is that the Fed has destroyed its balance sheet by taking on increasingly large chunks of non performing assets (the “toxic waste” made from mortgage-backed securities and the like) in exchange for loans of “real” cash to banks that may still end up not repaying them. Every year thousands of firms fail. 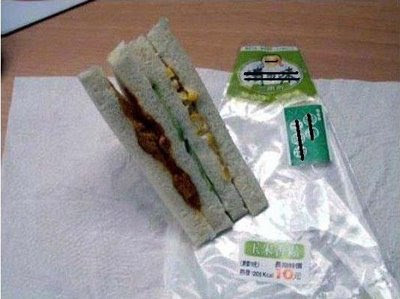 4/5’s of all restaurants fail within 5 years, yet we aren’t bailing out the restaurant industry. The individuals working in the finance industry are some of the nations best and brightest. If they aren’t working in finance, they will find other well paying positions. 700 billion dollars is a tremendous amount of capital. If we add that to the existing national debt, aren’t we just increasing the risk that foreign lenders are going to stop lending to the US and cause a run on the dollar? How much debt to GDP can a country have before foriegn lenders figure that lending to the US is just too big of a risk of not getting paid back either because of default or because they will get paid back by dollars devalued substanially by inflation? Even if one ignores her "I were ill" misspeak, the rest of the statement is a rambling, unfocused response which is just an amalgamation of "talking points." This woman does not understand what is going on with the economy. Cafferty: "I'm 65 and have been covering politics for a long time, and that is one of the most pathetic pieces of tape I have ever seen...she's supposed to know a little of this... that's pathetic." It doesn't make sense. It's not logical thinking. 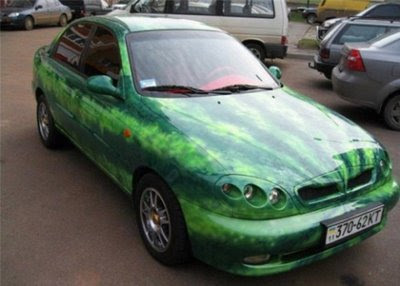 "What the bailout does is help those who are concerned about the health-car reform..." WTF?? No wonder there are already a raft of videos comparing these comments to the Miss Teen South Carolina response about Americans' inability to read maps. Amanda Watson, 31, was caught using her daughter's pass to park. Although eligible for her own Blue Badge, she never applied. She parked... and was seen by an inspector placing the Blue Badge in the windscreen. When she was challenged, the inspector found the badge had been issued to one of Miss Watson's daughters, aged nine and 12, who both have severe learning difficulties. They have to be present if the badge is used to park in a disabled space. … chairman of the bench John Bulger, told her: "First and foremost we have to say it was right and proper for the case to be brought to court because abuse of the Blue Badge is a major issue." It's good to hear that the British court system has lots of free time that they can expend on crucial cases such as this. It's not the truck that exploded - it was the custard. 26 metric tons of it, all going to one local supermarket. Wow, you Brits eat a lot of custard. A lorry driver has been forced to flee after the 60,000 tins of custard and rice pudding he was transporting began to explode. The cans of dessert exploded "like fireworks" after the a blaze broke out on his HGV. 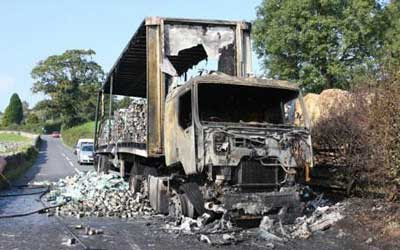 Fire crews raced to the blaze but the desserts were too well alight and the whole lorry was consumed in just 20 minutes. The arrival of Halloween next month will provide an example of how the disregard of Congress for the deteriorating state of the US dollar affects "Main Street." Most of the public doesn't notice when the falling dollar results in an increased cost of overseas travel; what they see first as domestic consumers is increases in the price of oil and therefore gasoline. But gasoline prices are also strongly influenced by worldwide supply and demand, so recent trends in the latter have diminished the effect of the falling dollar. A falling dollar ultimately creates inflation by raising the cost of imported materials. One such material is cocoa, used in the manufacture of milk chocolate. Candy manufacturers have been responding by either a) raising the cost of their chocolate products, or b) shrinking the size of the product for an unchanged price. 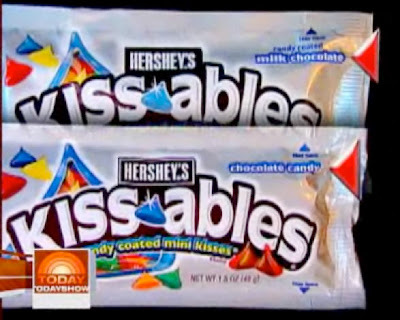 Now Hershey has devised is a more subtle, and some would say a more detrimental strategy: they are removing cocoa from some products and replacing it with vegetable oil. First they attempted to change the rules (advocating changing the definition of chocolate from its present one that it must contain cocoa solids and cocoa butter and no additional vegetable oils). 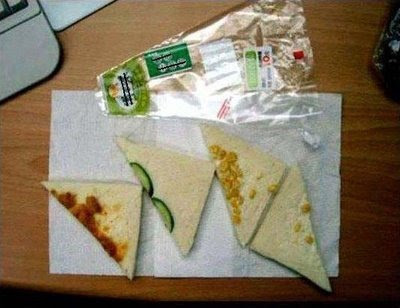 When that didn't work, they changed the labelling of the product. Note in the image above the replacement of the term "milk chocolate" with the word "chocolate candy." 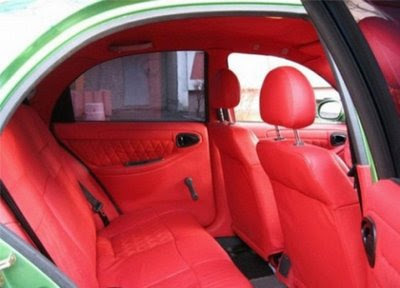 For more details, read this article in Candyblog, this Candyblog update (which includes explanation re origin of "mockolate"), or view the Today Show video segment here. 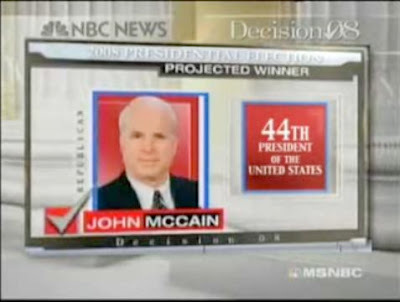 This is NOT the McCain/Palin campaign bus exploding in a fireball. 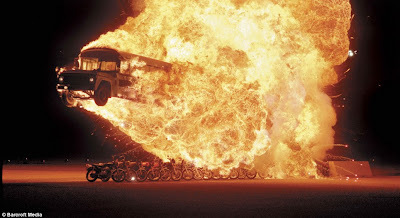 It's just a schoolbus jumping over 15 motorcycles while engulfed in a fireball. Nothing to see here, folks. Move along. This is very cool. 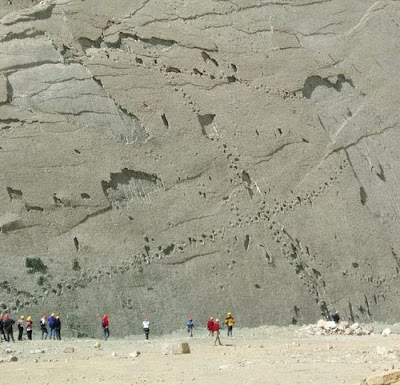 In Bolivia there is a 25,000 square meter rock face slanting upwards at an angle of 73 degrees, in which are embedded 5,000 tracks of 294 different dinosaurs (six different types) from the Cretaceous period. It obviously was once a lake bed which got heaved upward when the Andes formed in the Teritary period. More pictures at the link. 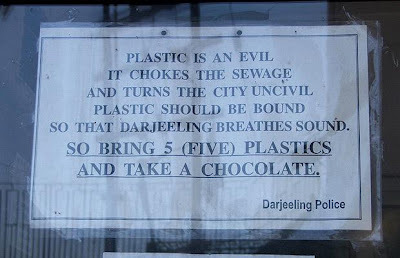 Found at Neatorama. Only 5 students out of this year's freshman class of 438 have landline service. That it's a low percentage is not surprising, but that fully 99% now rely on cell phones is startling. One obvious point of relevance is that virtually all political preference surveys rely on landlines only. Cell phone owners are not included in such data. What has not been determined (as far as I know) is whether the generally younger cell phone owners have different political preferences; many analysts have assumed that they do, but I've not seen the data. An even bigger question is whether they will vote when the time comes. Only 1% have landlines. Amazing. Update Sept 27: Found an article in Salon with some data regarding cell phone usage and voting. 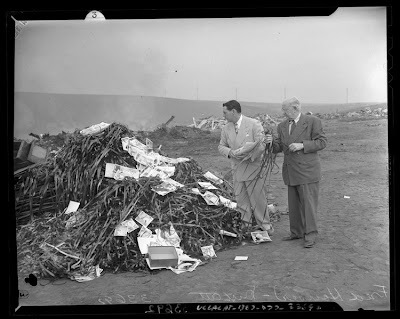 Los Angeles County District Attorney, Fred N. Howser and unidentified man preparing to burn a pile of films deemed "lewd" in 1945. Image and caption credit to Vintage Photographs. Gag me with a spoon**. 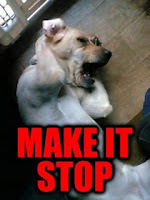 **I've used this phrase to express disapproval in this blog on several occasions, but to my great chagrin, when I searched it now, not only does the Urban Dictionary consider its current use "silly," but I find it has its origins in Valspeak (about which more later). Apparently I was "Clueless" about that. I need to find another phrase. Based on Palin's interview with Katie Couric. "A British tourist who unearthed four Stone Age axes on a beach in Brittany has been put forward for a prize worth more than £20,000 by the Ministry of Culture for not keeping the treasure. The axes, made from jadeite, were buried in what was then marshland, about 6,500 years ago, according to French scientists. Mr MacHale and his French girlfriend, Sonia Hoba, 34 noticed the blades glistening in the mud at low tide. They were on holiday in Saint-Pierre-Quiberon in August 2007 with his two children. 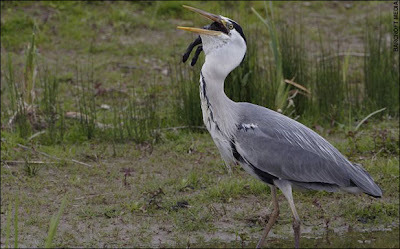 Mr MacHale said: "I thought they were two edges of a clam shell and I was a bit nervous putting my hand down at first in case it snapped shut on me." Researchers believe that the axes, made from a rock found in the Italian Alps, were possibly gifts given to Stone Age leaders by people from elsewhere in the world." "Please call Stella. Ask her to bring these things with her from the store: Six spoons of fresh snow peas, five thick slabs of blue cheese, and maybe a snack for her brother Bob. 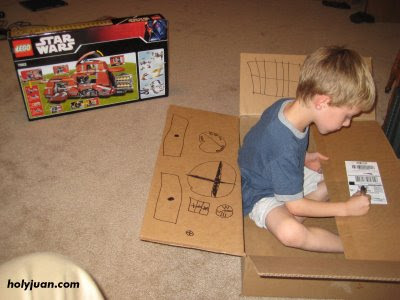 We also need a small plastic snake and a big toy frog for the kids. 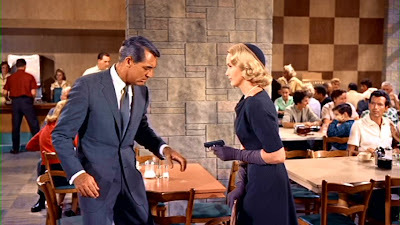 She can scoop these things into three red bags, and we will go meet her Wednesday at the train station." The speech accent archive is established to uniformly exhibit a large set of speech accents from a variety of language backgrounds. Native and non-native speakers of English all read the same English paragraph and are carefully recorded. The archive is constructed as a teaching tool and as a research tool. It is meant to be used by linguists as well as other people who simply wish to listen to and compare the accents of different English speakers. I don't know the total number - there appear to be many hundreds of recordings of this single paragraph by people all over the world (all speaking English). The accents variations are not extreme, but interesting. You can explore by clicking on this map. Burial vaults, to be more precise, into which a casket or remains would be placed, manufactured by this company. 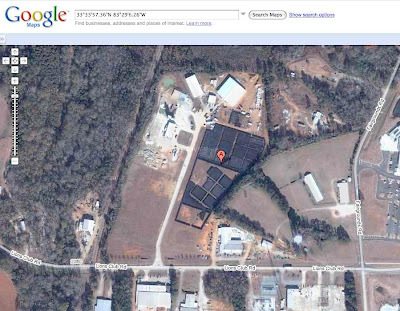 They are stored at a facility located off Lions Club Road in Madison, GA. They are stacked on pallets, about 17 per stack. I don't know how accurate the total estimated number is, but there is are several videos on YouTube, including this 10-minute one showing how many there are. Presumably there is a perfectly innocent and logical explanation for them, such as preparing for an epidemic of bird flu. But no public official has addressed this, so the conspiracy theorists go wild with alternative ideas. I'm not a conspiracy theorist myself, but I find it interesting; if you want, you can locate many of their sites and discussion threads by Googling plastic coffins georgia, which yields about a half-million hits. The one I blogged earlier this week, found in Alabama and apparently the foot of a child, turned out to be a bear's paw. The orthopedic surgeon who examined it and initially declared it human is probably a bit embarassed right now. The other severed feet in the Pacific Northwest are still valid, and still unexplained. Bear paw update courtesy of Arbroath. 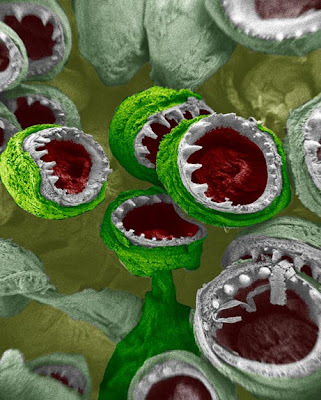 On the top, suckers on a squid tentacle; it looks to me like colorized scanning electron microscopy. Honorable Mention winner in the 2008 International Science and Engineering Visualization Challenge. 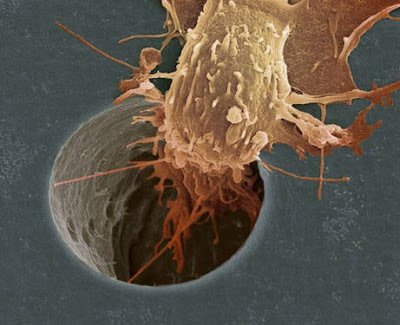 On the bottom, colorized SEM of a cancer cell entering a pore on a membrane - one of the winners from 2005.